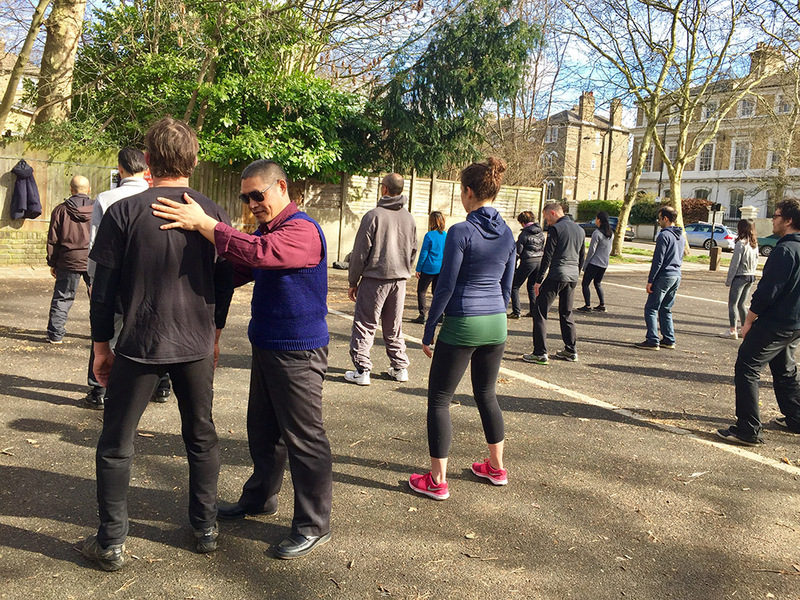 On the 4 May we have our next free session of Taiji in the Park with Shifu Liu, followed by a Chen Foundation Training workshop. Download our latest News Mail Out for more information. 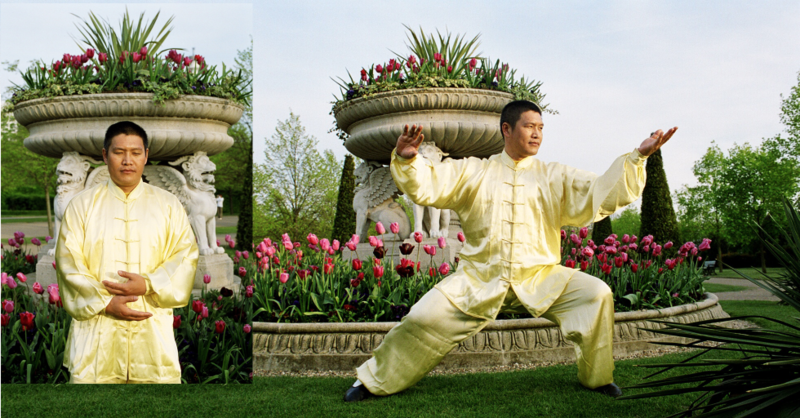 Later on the 25-27 May Bank holiday, look out for our special Qi Gong and Chen Taiji Workshop with Shifu Liu to focus on Nei Gong, internal practice for working with our bodies transitioning through the Spring and Summer seasons. 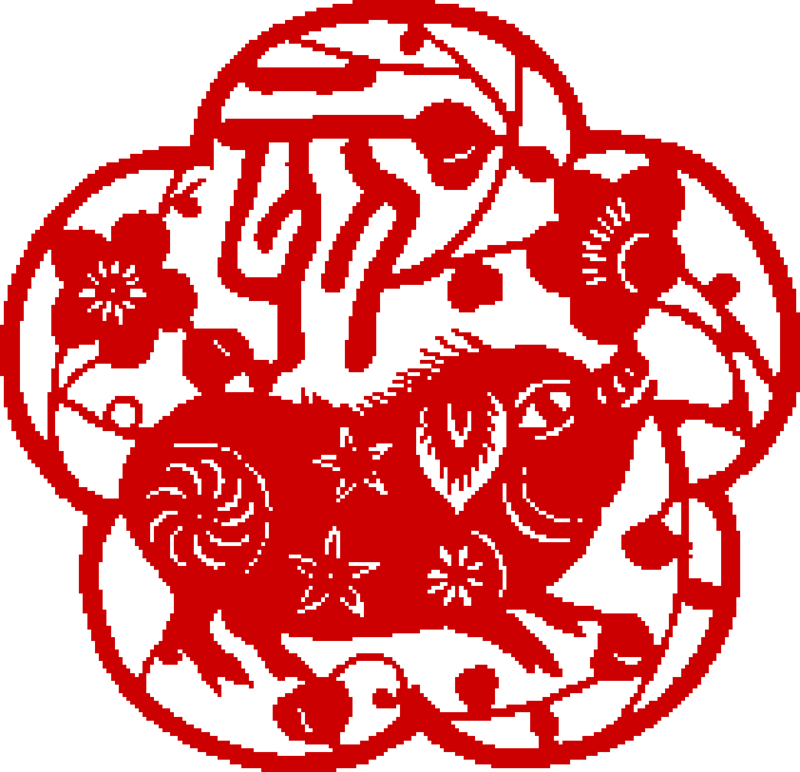 Happy New Year of the Earth Pig! 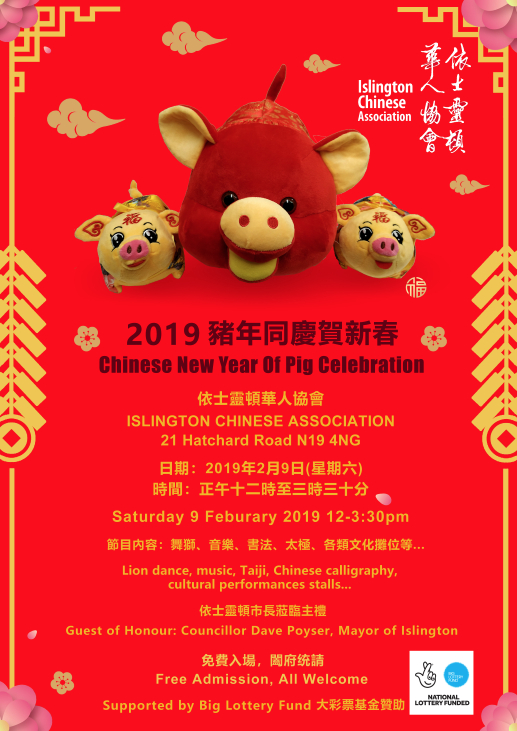 We are giving a short demonstration at the Islington Chinese Association’s celebratory event (21 Hatchard Road, N19 4NG) to which everyone is invited, see poster below. 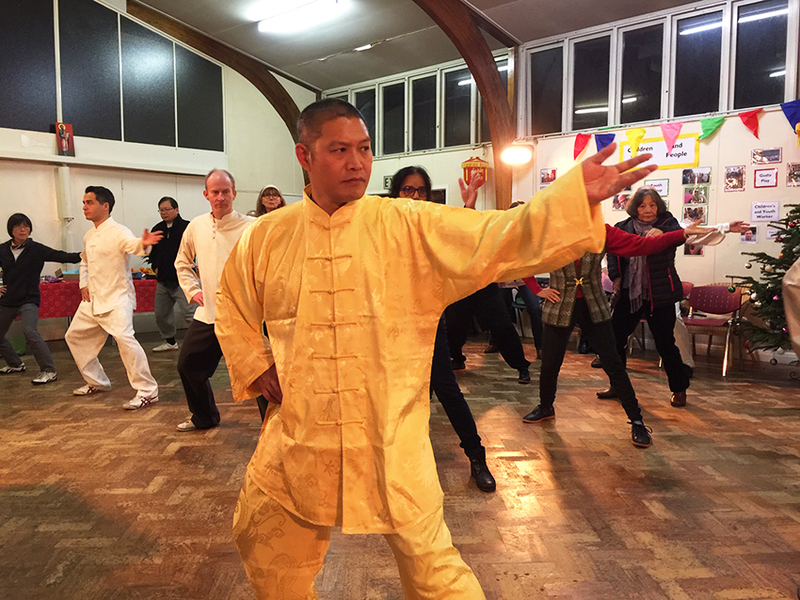 TJC are expecting a return visit to London in 2019 from the inimitable Master Chen Ziqiang from the 8-15 April, so put the dates in your diaries for a special series of workshops over the weekend 12-14 April. 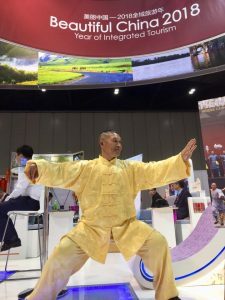 The son of Grandmaster Chen Xiaoxing, Master Chen Ziqiang is a 20th generation direct descendant of the Chen Family Taijiquan, the Chief Coach of the prestigious Chenjiagou Taijiquan School and is a renowned tai ji champion in China and he teaches extensively around the world. Details to be announced soon. Please email to express your interest and to book a place. Welcome back to Tai Ji Circle and our schedule of Chen Taijiquan classes workshops and events. 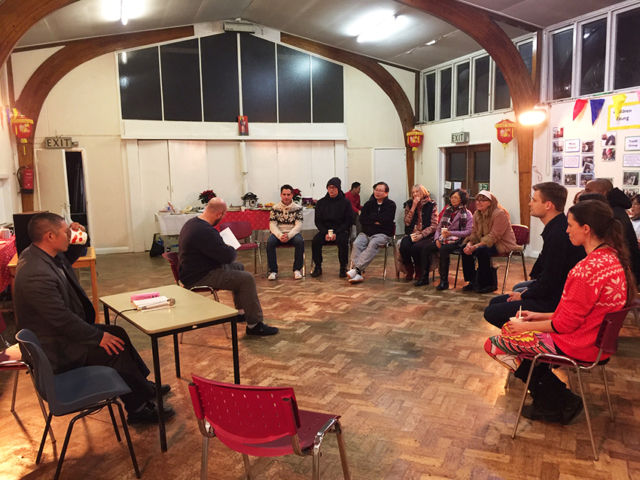 All classes begin on Monday 7 January at the Islington Chinese Association. See the timetable link below for more details. Please note that there are a few changes to classes on Tuesdays and Thursdays. 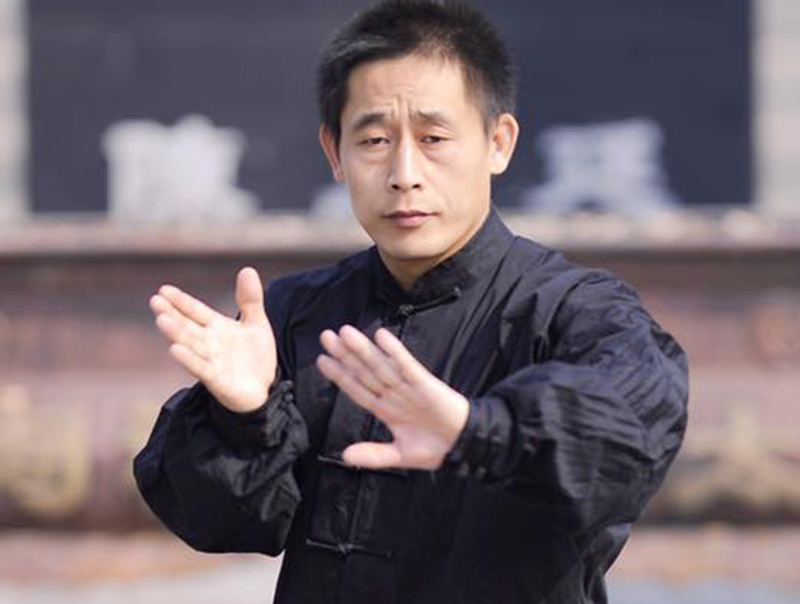 In addition to the regular TJC classes, Shifu Liu will be teaching a private Da Bei Qi Gong Class on early on Sunday morning before the regular Foundation Course/class. 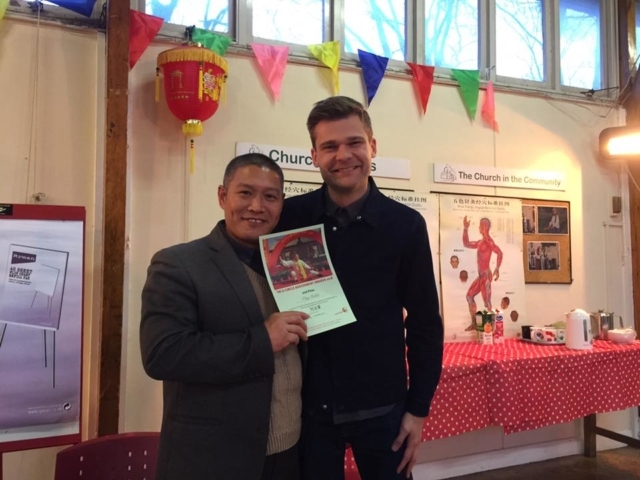 We have a new Calendar of workshops planned for 2019 and an exciting visit from Master Chen Ziqiang in April. See all workshop details on the Calendar. 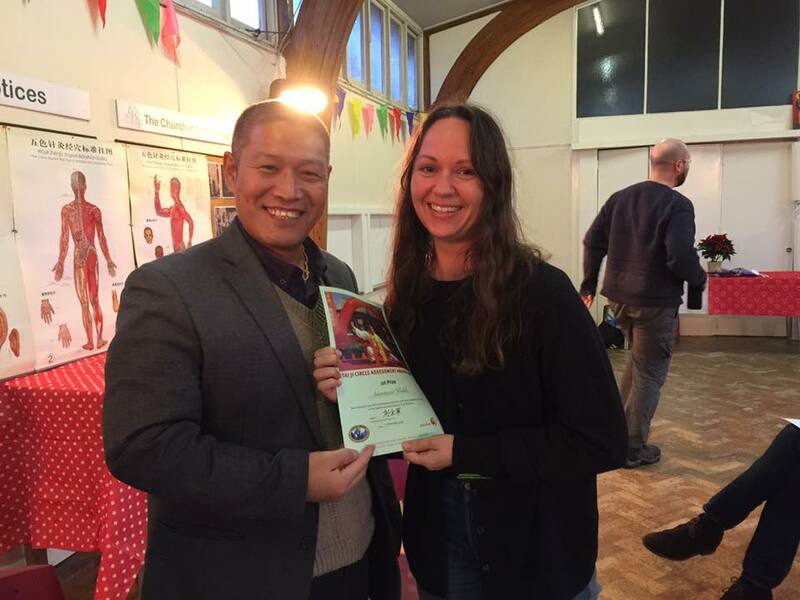 Becoming a Tai Ji Circle member enables you to buy class passes at a cheaper rater, so that you can train more regularly, it also gives reduced fees for all workshops, membership and insurance from the BCCMA, and free training if you are a member of the TJC Performance Team. If you bought your membership at the end of the year then you can renew for 2019, any couples can apply and save money with a family membership. Easy purchase or renewal of memberships and class passes, can be done by Credit Card or Paypal from the website on the links below. There are no additional charges when paying this way and TJC are notified, so it is our preferred payment method. We would encourage students to join our membership to get the maximum benefit from taiji practice, and hope that you would like to continue your training with us by attending the Foundation course classes again, and trying the 19 Form Class. This will help to expand and deepen your experience of the Chen practice. it takes time to assimilate the postural and technical requirements but once you have memorised the movements it is easier to learn the longer forms at the heart of the Chen style of taijiquan. Persistence and perseverance are required, the true meaning of gong fu practice. 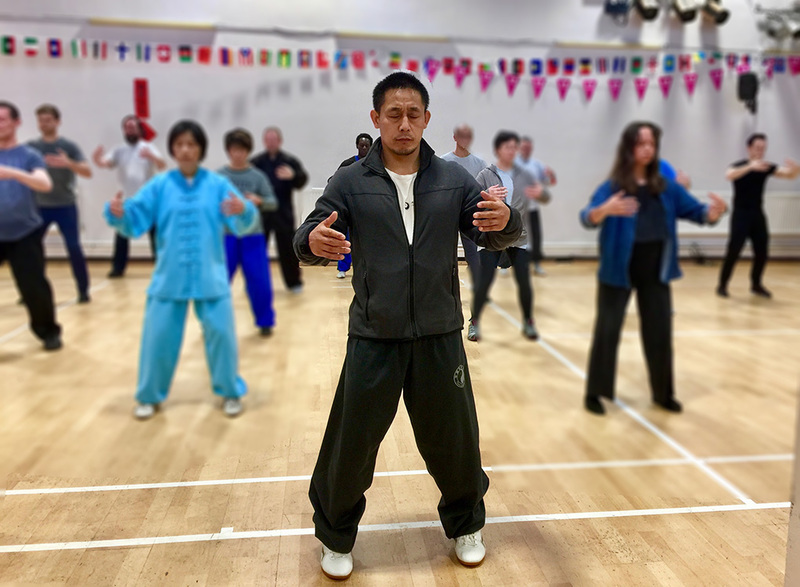 Each new Beginners’ Foundation Course offers eight classes taught by Shifu Liu with Chris and Darrell, and require regular attendance twice a week for four weeks on Sundays and Thursdays. This helps new students have time to assimilate and reinforce the principles of the training. 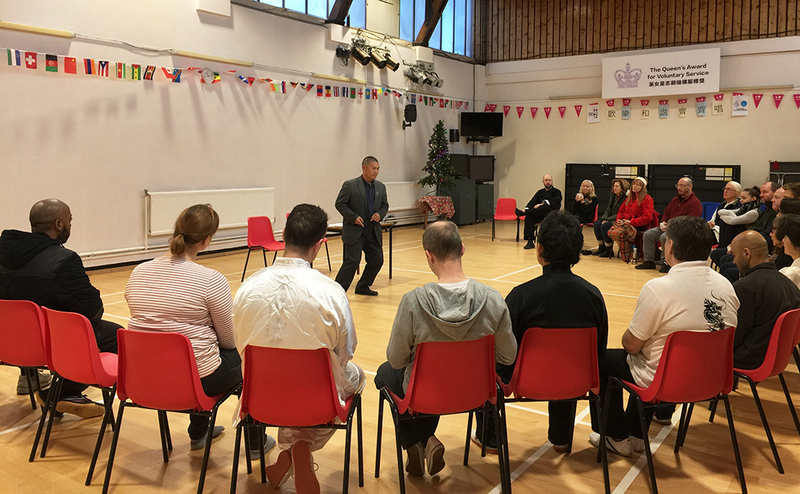 If you are unable to attend twice a week you can use the 8-class pass to attend other Foundation classes within the 15 week term. 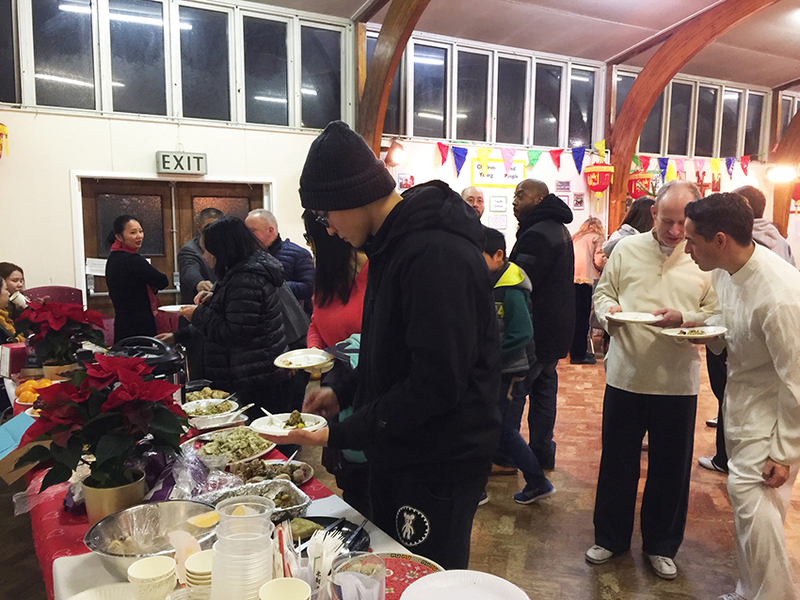 Tai Ji Circle’s Xmas Event of 2018! Tai Ji Circle’s winter health workshop with Shifu Liu was insightful, varying from advice on diet, to using Qi Gong sounds to warm us up, with a visit from Torben Hersberg an ace osteopath and colleague of Shifu Liu’s from Central London Osteopathy Clinic. 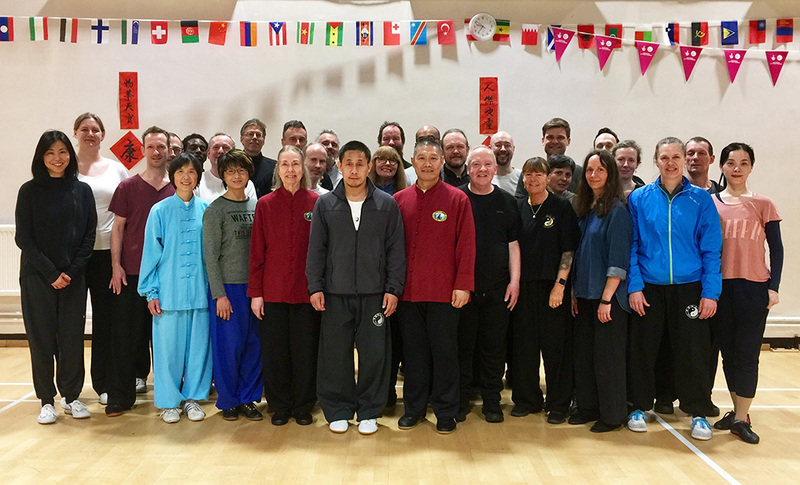 The AGM preceded the Assessment awards, and food preparations in the kitchen took place while we practiced Chen Foundation and performances of hand and weapon forms. 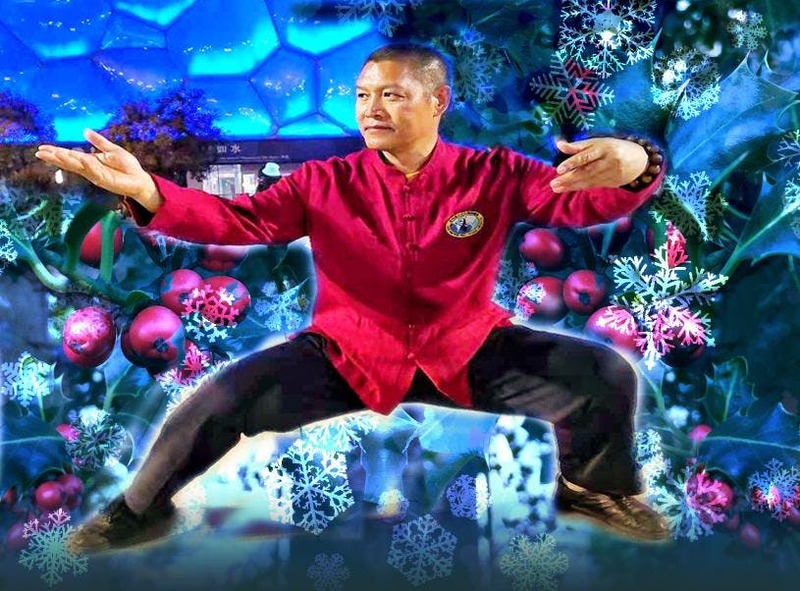 Gary broke a concrete block, he made it look easy, but don’t try this at home!… he keeps up his training in the powerful Ying (hard) Qi Gong of Shifu Liu. Everyone was incredibly generous bringing all sorts of delicious party food. One of our students sang accompanied by Shifu Liu on the harmonica and they also sang Chinese songs together. 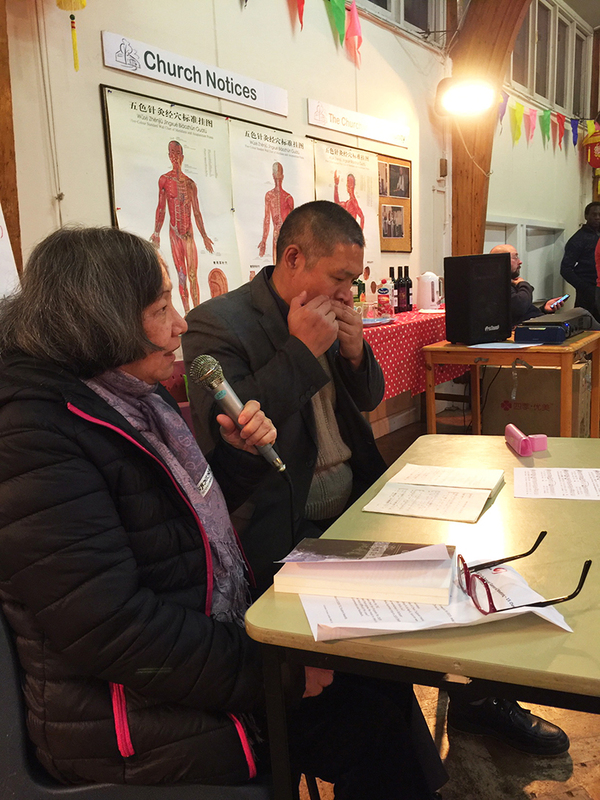 Shifu Liu’s powerful voice soared out with a beautiful love song from his homeland Xinjiang, dedicated to his wife. Michael told us stories and we even learnt the first moves of Salsa. Great time. 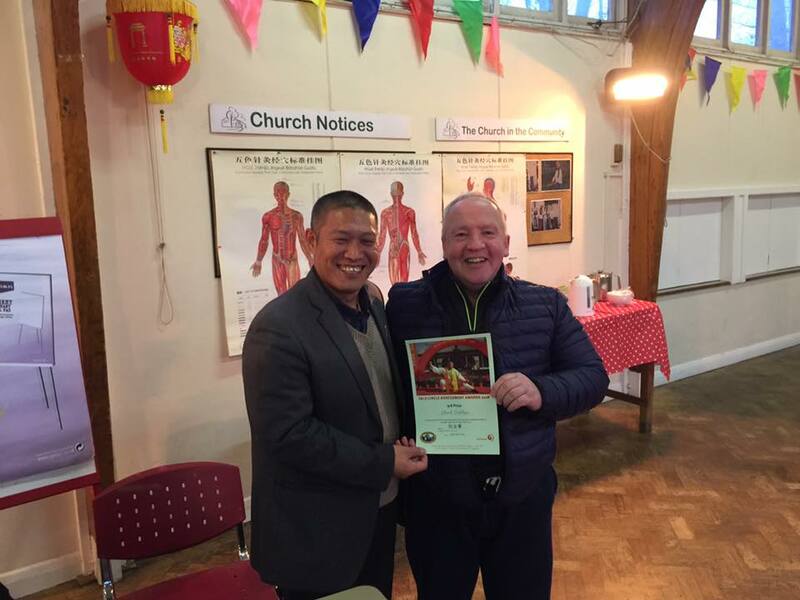 Congratulations to the students who despite their nerves took part in and won 2019 training prizes at TJC’s Chen Assessments, awarded by Shifu Liu at the AGM and the following day in class for those who couldn’t make the party. 2018 was a good training year and Shifu was very happy with the progress on his students and this was a full and wonderful way to finish off; with students, families and friends. Thank you all for you support and help with clearing up… and have a wonderful Christmas and New Year in 2019. 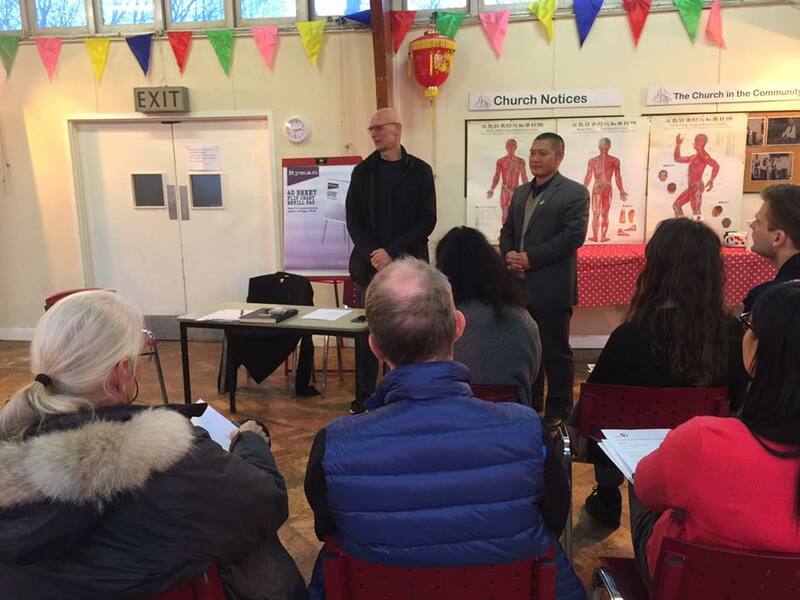 Health & Wellbeing Workshop with Shifu Liu, a specialist in Chinese medicine therapies: learn about, and try his great tips for staying well this winter. 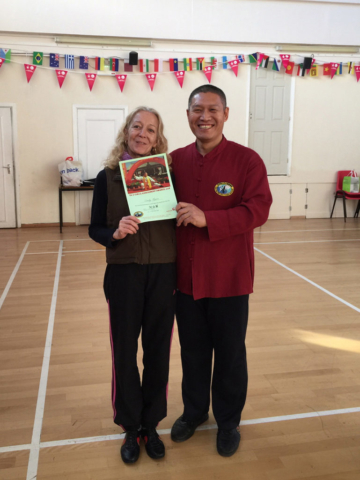 With advice on food, gi gong, tai ji therapy, Chinese massage and much more. AGM: TJC present our plans for 2019 and look forward to student feedback and views on changes. 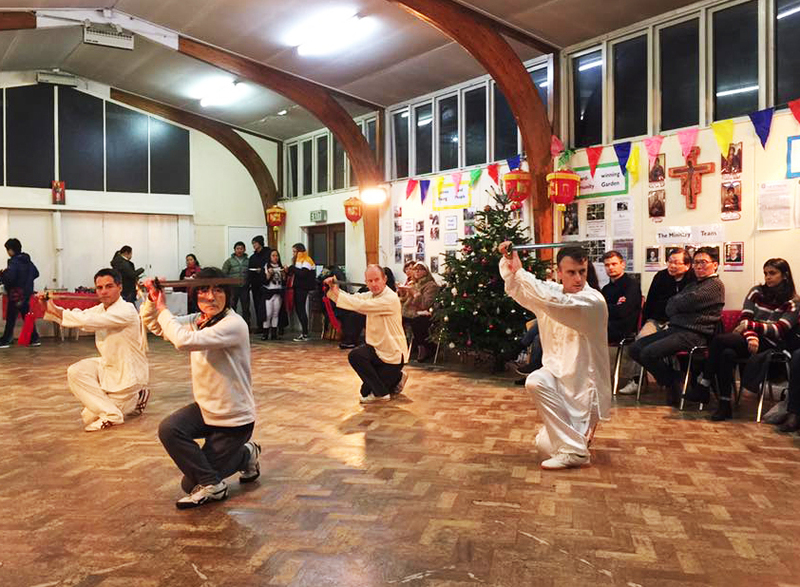 Taiji Performances from Shifu Liu and TJC students. 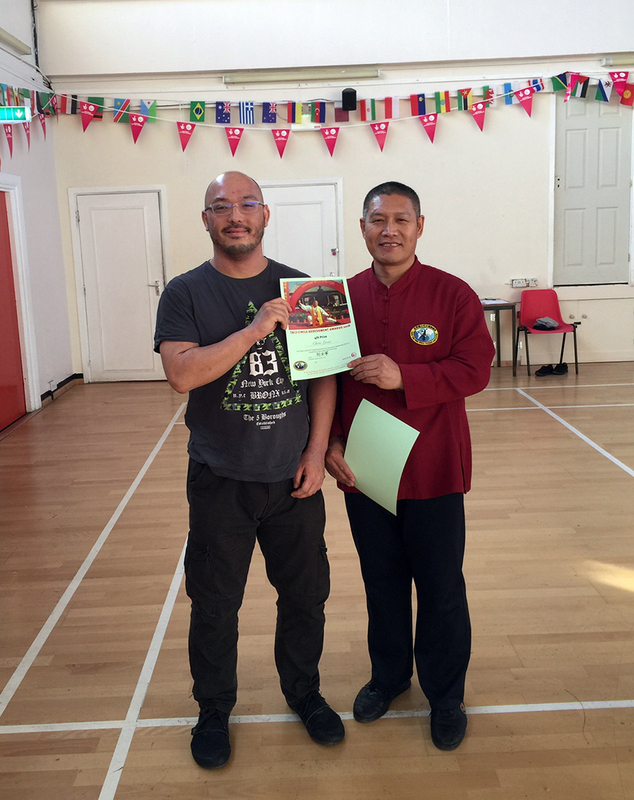 Learn more about the progression of skill and techniques of Chen Taijiquan. 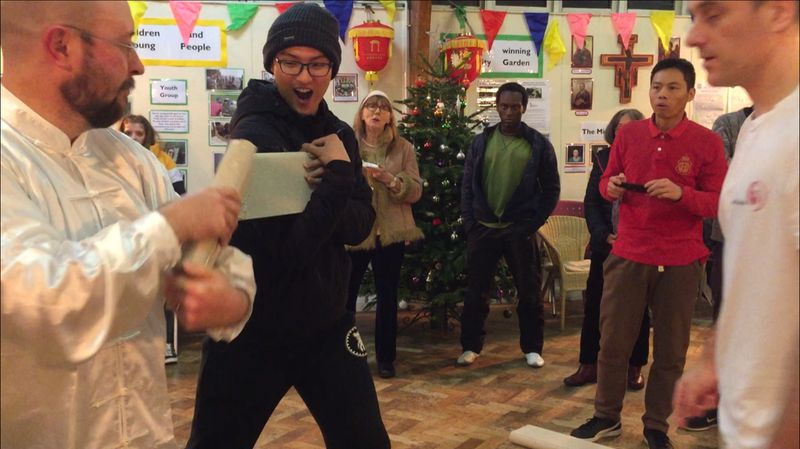 Christmas Party Come and make merry, eat, sing, dance and perform your party piece! 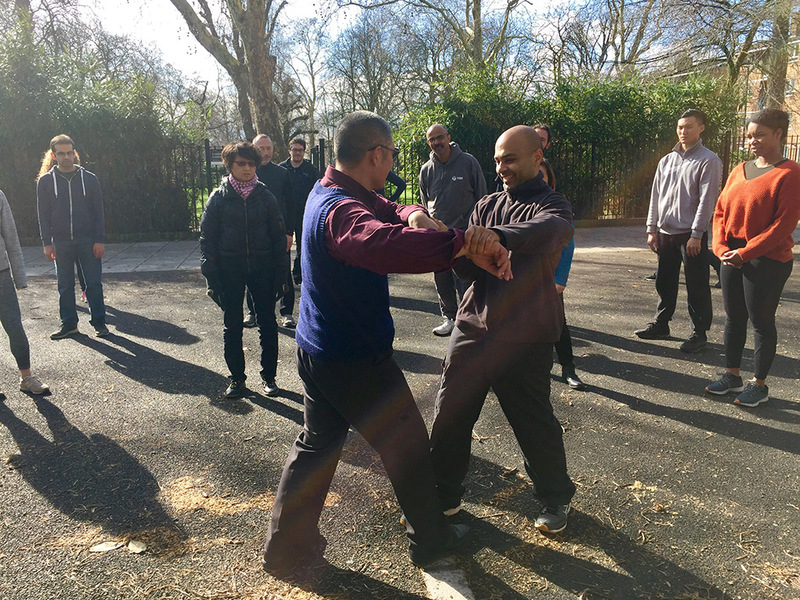 Before the Assessments began on Sunday, Shifu Liu demonstrated and discussed some of the specific yin and yang attributes of the Chen Style Taijiquan, fast, slow; soft, strong, the particular circular or twining movements that are characteristic. Other advice was on posture, keeping the head and body straight, maintaining your ten ‘doors’, with reference to keeping all the joints open and relaxed. Use of the feet to push the floor and lead the energy up towards the dantian, the waist and outwards through the hands to the finger tips, (the dantian is the main energy centre in Chinese medicine theory, located in the abdomen below the navel). The importance of relaxing the palms and fingers while keeping the fingers straight, relaxing the feet to enable the energy to flow to the toes, using the eyes to follow the hand… just some of the useful advise that he gave to us. 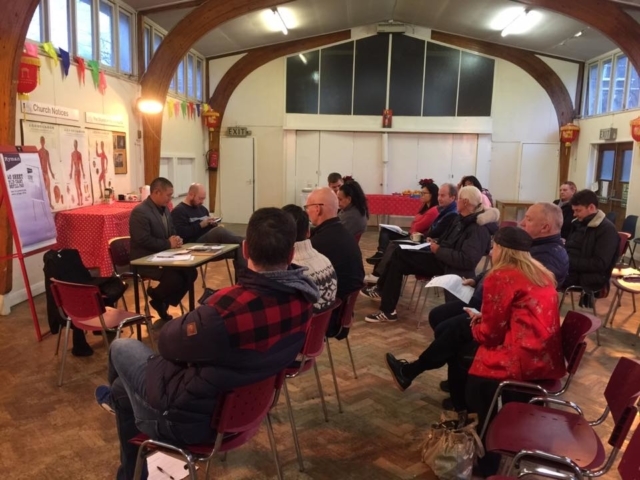 We would like to thank everyone who attended, especially the foundation group overcoming their nerves to take part, not easy, even for skilled practitioners. Four foundation student members who have made the most progress, plus one sponsored prize, will be awarded our training prizes after the AGM on 15 December. 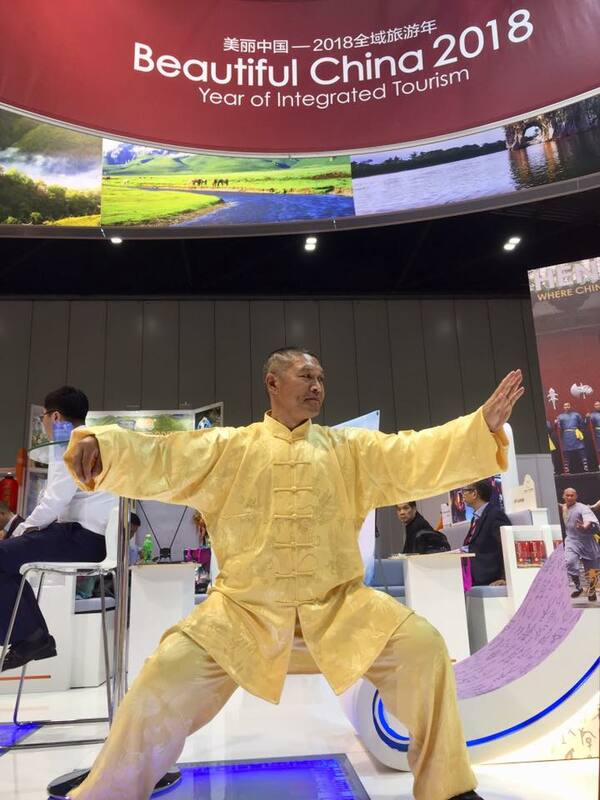 Tai Ji Circle were invited to perform Chen Taijiquan on behalf of Henan Province Tourism delegation at the WTM event at the Excel Centre in London. 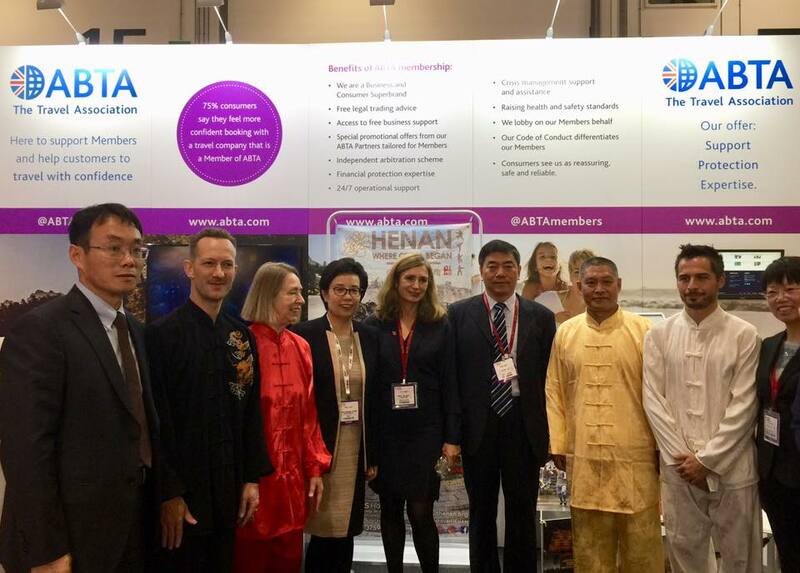 With our students we spent three days at this massive travel event, finally performing at the ABTA stand for the delegates from Henan. Chris is presented a silk scarf by Madame Zhou Yaoxia, the Vice Director General of the Henan Tourism Administration. We are most grateful to Donna, Raul and Danny taking time out of work to be there, great fun.